Give in to your urge to travel anytime and anywhere in the world, knowing that you are assured of protection from accidents and other travel-related problems. Simply charge your international travel tickets such as airfare, cruise tickets or through a travel agency to your RCBC Bankard, then call 888-1-888, to enjoy this FREE benefit! You’ll even receive a proof of coverage from our trusted provider, Malayan Insurance, who’ll send you an electronic Confirmation of Cover (e-CoC). See FAQs of Travel Plus Lite Insurance Program here. 1. What is RCBC Bankard Travel Plus Lite Insurance Program and how can I avail of this benefit? Purchase your international travel tickets using your RCBC Bankard Classic, Gold, Co-brand cards, UnionPay Classic, UnionPay Diamond, or Diamond Platinum whether directly through an airline, or via a travel agency, and enjoy the RCBC Bankard Travel Plus Lite Insurance for FREE. IMPORTANT REMINDERS on availment of free Travel Insurance: For International Airline purchases and international travel tickets purchased from Local Carriers, Tour Operators or Travel Agencies, simply call 888-1-888 at least 3 working days before the scheduled flight to enroll in the FREE Travel Insurance. 2. What benefits does RCBC Bankard Travel Plus Lite Program provide? 3. When shall the cover commence and end? 3) within two (2) hours after the scheduled time of arrival. 4. What is the maximum period of cover? The maximum period of cover for a qualified transaction (credit card purchase of international travel ticket worth at least Php 1,000.00) is fifteen (15) days. Should a cardholder have two (2) or more qualified transactions, the effectivity of the travel policy will be confined on the inclusive dates of the international travel ticket (maximum of fifteen (15) days) and not as one policy to be continued with the other (unless period of travel is similarly in succession). There should be no overlapping, and in the event of overlap, only one (1) policy will be in effect. 5. Who can be insured in this program? The program shall cover the principal and supplementary cardholder of RCBC Bankard Classic, Gold, Co-brand cards, UnionPay Classic, UnionPay Diamond, and Diamond Platinum Credit Card, aged eighteen (18) to seventy (70) years old, plus a maximum of two (2) dependents. 3) One (1) child or two (2) children between one (1) year up to twenty one (21) years old, unmarried and unemployed. The principal and/or supplementary cardholder must accompany his/her dependents on the travel. If the principal and/or supplementary cardholder uses his/her card in purchasing international travel tickets for his/her dependents but will not travel with them, Travel Plus Lite shall not be enforced. 6. Who can be declared as the beneficiary of the Insured? The declared beneficiary shall be the immediate family of the Insured within first degree of affinity or consanguinity (e.g. father, mother, brother, sister, spouse, qualified dependents or children). 7. What are the limits of the benefits under the complimentary travel insurance of RCBC Bankard? See FAQs of Travel Plus Insurance Program here. 1. What is RCBC Bankard Travel Plus Insurance Program and how can I avail of this benefit? Purchase your international travel tickets using your RCBC Bankard Black Card Platinum Mastercard, World Mastercard, or Infinite VISA whether directly through an airline, or via a travel agency, and enjoy the RCBC Bankard Travel Plus Insurance for FREE. 2. What benefits does RCBC Bankard Travel Plus Program provide? The maximum period of cover for a qualified transaction (credit card purchase of international travel ticket worth at least Php 1,000.00) is fifteen (15) days. Should a cardholder have two (2) or more qualified transactions, the effectivity of the travel policy will be confined on the inclusive dates of the travel ticket (maximum of fifteen (15) days) and not as one policy to be continued with the other (unless period of travel is similarly in succession). There should be no overlapping, and in the event of overlap, only one (1) policy will be in effect. The program shall cover the principal and supplementary cardholder of RCBC Bankard Black Card Platinum Mastercard, World Mastercard, and Infinite VISA Credit Card, aged eighteen (18) to seventy (70) years old, plus a maximum of two (2) dependents. 3) One (1) child or two (2) children between one (1) year old up to twenty one (21) years old, unmarried and unemployed. The principal and/or supplementary cardholder must accompany his/her dependents on the travel. If the principal cardholder uses his/her card in purchasing international travel tickets for his/her dependents but will not travel with them Travel Plus shall not be enforced. 7. Can the Insured file a claim if he lost his laptop abroad? No. The Policy will not cover any loss, theft or damage to personal effects, cash, traveler’s checks, negotiable instruments, sport equipment, electronic equipment, etc. 8. Can the cardholder file a claim if he lost his documents while on travel? 9. What are the limits of the benefits under the complimentary travel insurance of RCBC Bankard? Please see table below for the specifications of Travel Plus. Sports Activities Extension Extends Medical Treatment and Travel Assistance Benefits for accidents due to fitness, sinter, water and extreme sports. 10. Is sickness included in the insurance cover? Yes, under Travel Plus Plan B, except for pre-existing illnesses. Settlement of hospitalization expenses however, is on REIMBURSEMENT basis only. This program will also provide critical care monitoring and prescription assistance through Assist America. 11. Are there other benefits in the event of sickness? Yes, if the cardholder is covered under Travel Plus Plan B, the policy comes with a hospital admission guarantee through Assist America to ensure that the policy holder will be admitted at any hospital, anywhere around the world when medical assistance is required or needed. However, settlement of hospital expenses shall be on the cardholder’s account. 12. How can I contact Assist America? Experience peace of mind against the accidental loss or damage of items you purchased abroad. Just charge them to your RCBC Bankard card to make the most of this FREE privilege! Just call 888-1-888 to avail. Our trusted provider, Malayan Insurance will even send you an electronic Confirmation of Cover (e-CoC) as proof of coverage. 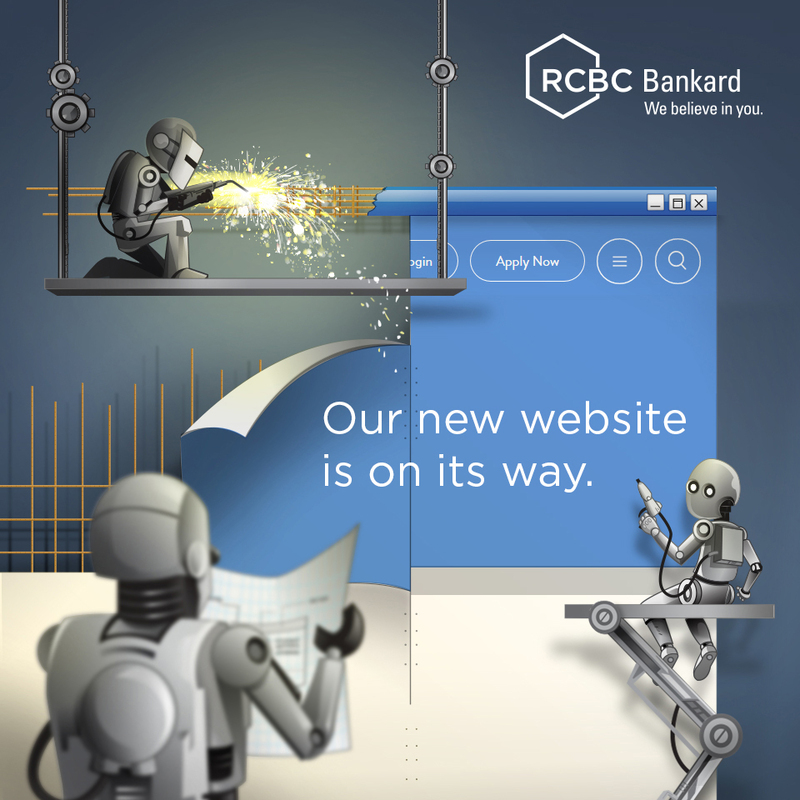 Learn more about the RCBC Bankard Purchase Protection Program. 1. What is RCBC Bankard Purchase Protection Insurance Program? RCBC Bankard Purchase Protection Insurance Program (Purchase Protection) is a product being offered by RCBC Bankard for FREE to their cardholders that covers loss and accidental damage of items purchased OVERSEAS using RCBC Bankard credit card. 2. When shall the cover commence and end? The cover will start from the date of purchase until 23:59 hours on the 90th day thereafter, except for items purchased under a merchandising program in which case shall commence from the date of delivery in undamaged condition to the Cardholder and until 23:59 hours on the 90th day thereafter. 3. What is my maximum allowable benefit? Malayan Insurance shall only pay the purchase price of the item or the portion of such purchase price charged to the Card, up to Php 50,000 or the card’s credit limit, whichever is lower. 4. Is the item still covered when I leave the country where I purchased it? YES, this is still covered. There is no geographical limit on the coverage of the item, as long as it is still within the period of ninety (90) days from date of purchase. 5. Is Jewelry and Gems covered under this program? YES, but only as personal effects of the Cardholder against ROBBERY and BURGLARY, subject to a deductible (# 6). Coverage shall be from the date of purchase until the Cardholder/Insured arrives home or upon expiration of 30 days whichever comes first. 6. Is there a deductible or participation fee when I file for a claim? Yes. There is a deductible of 10% of loss, or Php 5,000.00, whichever is higher, for each and every loss. Jewelry and Gems is subject to a deductible of 20% of the cost, or Php 5,000.00, whichever is higher. 7. What items are NOT covered? 8. What causes of loss or damage are NOT covered? b. Theft from any unattended vehicle unless all windows are securely closed and all doors, boot and openings are securely locked and there is a visible sign of break-in or forcible opening or entry. c. Marring or scratching, denting or chaffing, deterioration, depreciation, alteration, maintenance, any process of cleaning or dying, repairing or renovation, bleaching, dyeing, restoring or servicing. e. Delay, seizure, confiscation, destruction, requisition, retention or detention by customs or other government of public authority or official. f. The intentional, deliberate or fraudulent acts of the Cardholder or his representatives, or anyone residing in the same household or to whom the item has been entrusted. g. Mysterious disappearance or unexplained losses. h. Transit by air, vessels or ships, trains or vehicles, or any other modes of Public Transportation unless the Item is hand-carried by the Cardholder during the course of the transit. i. Product defects, faulty or defective design, material or workmanship, latent defect. j. Ionizing radiation or contamination by radioactivity from any nuclear waste from the combustion of nuclear fuel, or the radioactive toxic explosives or hazardous properties of any nuclear assembly or nuclear component thereof. k. Acts of God including but not limited to earthquake, volcanic eruption, hurricane, cyclone, typhoon, windstorm and tornado, flood including overflow of the sea, sandstorm. l. Shipping and handling expenses or installation, assembly related costs. m. Items purchased for resale, professional or commercial use. n. Losses that are caused by vermin, insects, termites, mold, wet or dry rot, bacteria or rust. o. Losses due to mechanical failure, electrical failure, software failure, or data failure including, but not limited to any electrical power interruption, surge, brownout or blackout, or telecommunications or satellite systems failure. p. Items damaged due to normal wear and tear, inherent product defect or normal course of play (such as, but not limited to sporting or recreational equipment). q. Items that cardholder damaged through alteration (including cutting, sawing, and shaping). r. Items left unattended in a place to which general public as access. s. Losses due to or related to nuclear, biological or chemical event. t. Loss which arises directly or indirectly by reason of or in connection with war, invasion, or act of foreign enemy, hostilities or warlike operations (whether war has been declared or not), civil war, rebellion, revolution, insurrection, civil commotion assuming the proportion of or amounting to a popular uprising, military or usurped power, martial law, riot or the act of any lawfully constructed authority. u. The insured’s person’s failure to exercise the necessary level of care and attention needed to avoid or diminish such loss or damage to the Insured Item. v. Diminution in value or loss of use of the Insured Item or consequential loss of any and every kind. 9. How can I claim? A written notification to Malayan Insurance must be made within 48 hours from the happening of the incident and complete claim documents must be submitted to Malayan Insurance within seven (7) days from the date of the incident. 10. What claim documents must I submit?